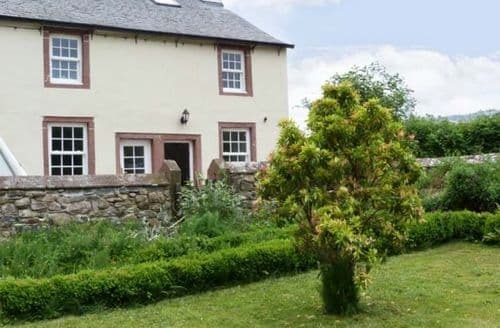 What our customers are saying about our Holiday Cottages In Holmrook To Rent. "Great Location Location, location, location. This cottage sits on the road to Wasdale and near to the road to Eskdale. These are generally quiet roads in the less touristy west of the Lake District. Santon Bridge is a hamlet a pub and tea rooms and little else. It is in beautiful countryside. 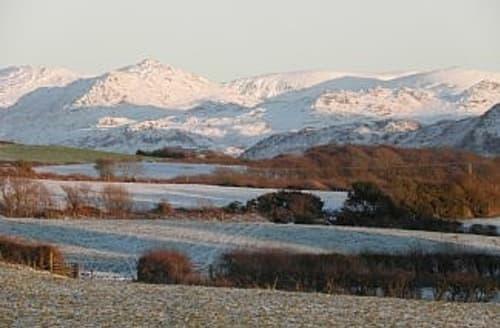 There is easy access to Eskdale, Ravenglass and Wasdale. You can walk to the fells from the cottage, although it is a long walk it is worth the effort. S3902 cottage sits next to a campsite, but do not let this put you off. We were there for the last weekend of the Whitsun half term. The campsite was very busy and yet we unaffected by any noise from it. The cottage is also a hundred or so metres from the pub, which did decent food and even take away fish and chips and pizza. The cottage was small. Ideal for the two of us. There is a second bedroom in the attic space, with a single bed and a pullout matress under. This which would suit a third adult, additional couple or older children. I'd be wary of putting younger children up there as it was on a mezzanine level with no door and direct access to the stairs. It's a bright and airy space with Velux windows. The shower was fine with plenty of hot water, although I would have loved a bath after the long walks we took. The kitchen was small, but perfectly adequate and very well equipped. There is a dishwasher and a washing machine. The lounge had a big leather sofa and chair both of which we found ourselves sliding down during the night. The table was very small and awkward: not really a dining table as there was no where to put you legs when eating. It's a small criticism in an otherwise really nice cottage. The cottage also had a garden to the front with a table and chairs. We didn't get to use this due to the weather (hey! it is the Lake District!) I have to mention a few negatives. Several light bulbs had blown and there were no replacements. In a cottage of this price I'd expect that to be checked and dealt with. We lost internet connection early in our stay and had no telephone so we couldn't report it. I didn't mind too much; I didn't come for the internet. Also there is a shared Sky box. This was a bonus. Until it failed and left us without any television. 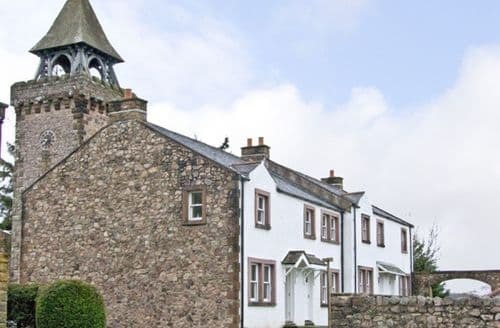 It comes highly recommended as a base for any couple who would like to explore the stunning Western Lake District." 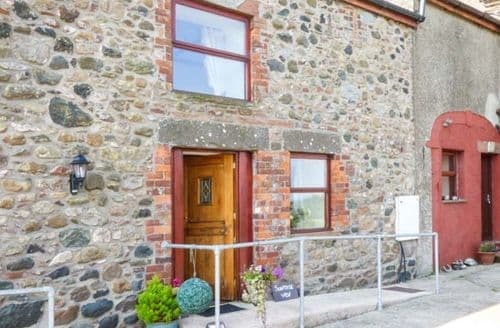 "This is a small (but more than spacious enough for a family of four) cottage which has been very recently renovated to a high standard. The owner was very friendy and left a much appreciated "welcome pack" of wine, milk and chocolates. There are several cottages all in the grounds of Irton Hall, a country house now small hotel. 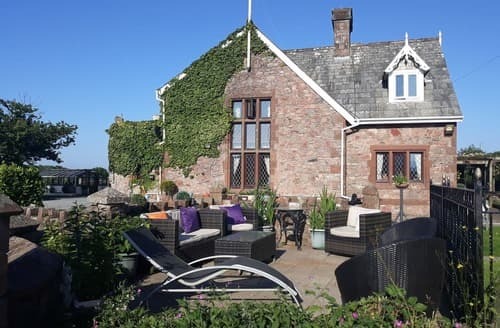 There isn't a private garden with the cottage but all can use the extensive attractive grounds which was great for children; we also appreciated the outdoor games (swingball, tennis rackets etc) left for our use. The hotel runs a very friendly bar in the evening and we spent some lovely sunny evenings on the benches outside (us with local beers, the children happy with frui-shoots and crisps). The local lake "Wast Water" is stunning, completely undeveloped and beautiful in a bleak way. There are plenty of walks to do around here, which even our 6 year old managed. Further afield (a good hours drive from this far point of the lakes, be warned) we loved Keswick, a really pretty town and a great place to spend a wet day. The kids loved the Pencil Museum there, which had a great drawing room conveniently next to the cafe so the children could sit and doodle while we relaxed with a coffee. Be warned the nearest decent sized supermarket is a good 30-40 minutes away so it may pay to shop on the way or order in from the local Tesco. A bargain of a holiday though, great for families or those wanting some peace and quiet and extensive walking!" 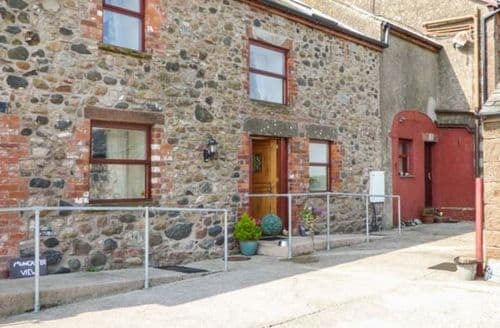 "The Cottage is very clean and tidy well maintained and has been done up to a very high standard, the owners were very friendly, letting us get on with our 5 day short break in peace, but letting us know they were there if needed, when I did speak with them in regards to the internet they were very friendly, I would totally recommend the cottage and would love to stay there again, the reason for the trip was because I had just lost my mum who sadly passed away and we had mums funeral on the 28th September and I felt that I had to get away from everything and everyone as I run an 11 room Hotel / Pub in Dorset S3902 and surrounding area was quiet and ideal for such a get away very beautiful area and we walked from the cottage to the foot of skafell Pike and then proceeded to climb the mountain before walking back to the cottage again I would recommend climbing the mountain but perhaps driving to foot of the mountain as it added about 6 miles to our trip, unfortunately we didn't make it to the local pub due to travelling around the area and visiting a lot of the local attractions but next time we hope to make it to the pub, the lady at the local gift shop near the tea rooms was very nice and helpful too, all in all a very memorable holiday at a very sad time, thank you to Gareth and his family for a lovely stay and everyone involved in the organizing of it as it was very easy to book too." "I spent Christmas week 2014 at S3633with my partner and his parents (and their dog). 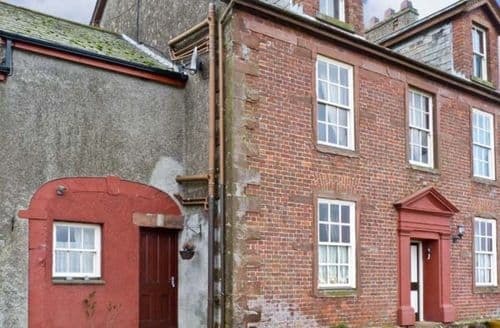 It's an absolutely lovely cottage, quite modern inside but designed to be cosy and traditional. It was great having an en suite for each bedroom so we had completely separate bathrooms to use and no communal one. The log burner and electric fire in the lounge area added charm and worked a treat at keeping us toasty, as did the electric heaters in the bedrooms. We managed to have a great Christmas dinner despite a few hiccups with the oven (there's no seal around it and it's not screwed into the unit) and some mis-timings with the electric hob - but what can you expect for a holiday rental, they're not really designed for grand meals! Mike the owner was friendly and helpful. He left a small Christmas tree in the cottage and a huge box of shortbread as a gift for us, which was a lovely touch. It was great being surrounded by his farm animals, we loved waking up to see the sheep out in the frosty fields. The location is also ideal - we managed to visit Whitehaven, Gosforth (with some very lovely pubs), Ravenglass, Windermere and Coniston in 4 days. Just beware of the Hardknott Pass - it's a truly awful road and should be avoided at all costs... despite what the sat nav says! All in all, I absolutely loved our week away here and hope to go back one day." "S3902 has been renovated to a very high standard and decorated beautifully throughout. It is also practical, for instance it has washer dryer and a heated cupboard in which to hang your waterproofs. It is like going on holiday to your best friend's home. The location is perfect to explore the mountains around Wastwater. The grounds of the campsite run alongside the river Irt so we were able to spend a tranquil morning in the sunshine beside the river, literally a stones throw from our front door. The Santon Bridge Inn is one minutes walk away for delicious food, and a gift shop and tea room five minutes walk away. The coast is a six mile drive along beautiful country lanes, and a well stocked local store in Gosforth provides everything you need at a good price. Tips: The children's bedroom is on a mezzanine in what was the roof space, and as such there is no door so take a child gate to put up to keep them safe. There is also no blind on the velux windows up there which was no problem for our two but you may want to take two travel blackout blinds."